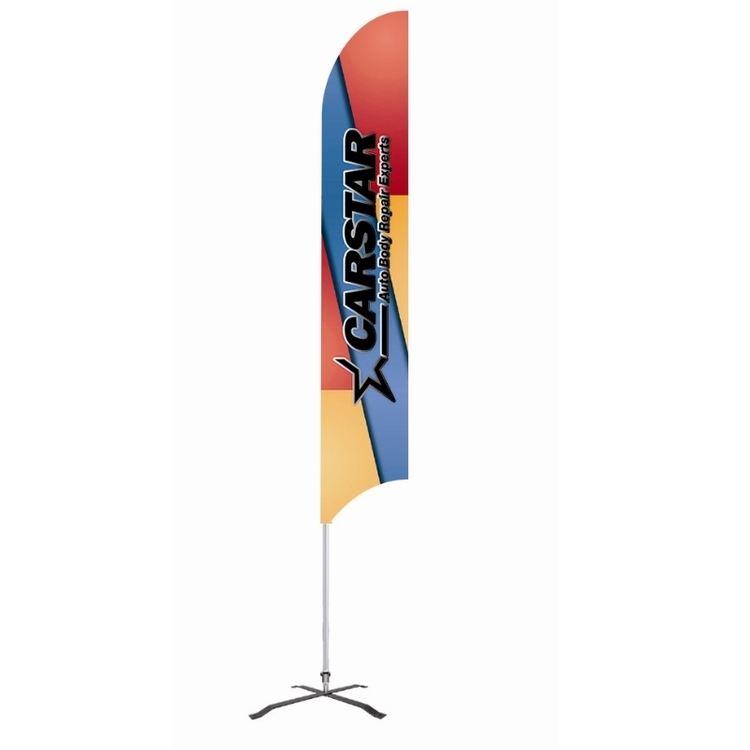 Our Flex Banner™ helps to advertise your location or brand. The unique shape and design stands out in any crowd and can be seen in almost any environment. The prominent feather banner will catch the attention of anyone who comes in contact. Order just the hardware, accessories, or order a fully printed unit for maximum impact. For expedited production, please contact us directly. 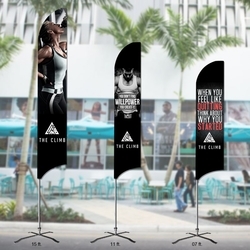 The bottom corner of this feather banner will flap and move with the wind. Our flex flutter flag is great for events, trade shows, exhibition, storefronts and much more.